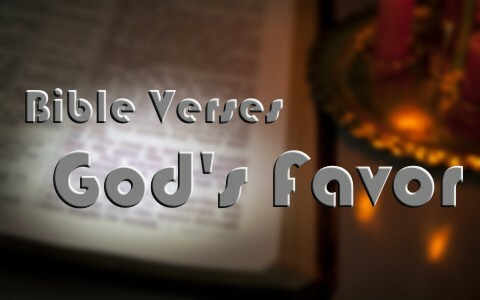 Here are seven awesome promises of God about His divine favor. What an amazing book the Book of Ephesians is! It says that God favored us, not because of anything we did (Eph 2:9) but because of Who He is (John 3:16; Rom 5:8, 10; Eph 2:8). This potently, powerful promise of God is that the believer has already “obtained an inheritance” since the Greek form is that of being past tense. Those of you who “when you heard the word of truth, the gospel of your salvation, and believed in him, were sealed with the promised Holy Spirit” (Eph 1:13) which for you “is the guarantee of our inheritance until we acquire possession of it, to the praise of his glory” (Eph 1:14). The word for “obtained” as in having “obtained an inheritance” is from the verb “klēroō” which is literally to “cast lots” or “determine by lot,” which if you remember, this was how they determined an answer from God during the Old Testament period but even into the Book of Acts and once the lot was cast, that was confirmation from God and who can revoke that? The psalmist appears to be writing about the loving discipline of God. The chastisement might be painful but only “for a moment” but God’s “favor is for a lifetime” and into eternal life. Tears in the night will bring joy in the morning for with God, there is joy. When God disciplines us, we should thank our Heavenly Father for it because “the Lord disciplines the one he loves, and chastises every son whom he receives” (Heb 12:6). The opposite of love is not hatred; it is indifference. Discipline means God shows His love for us by His disciplining us just as a parent shows their love for their child by disciplining them as they bring them up in the Lord. This proves that “God is treating you as sons. For what son (or daughter) is there whom his father does not discipline” (Heb 12:7). That really is God’s favor. There is more to this verse than meets the eye. Noah found favor in God’s sight because he “did all that God commanded him” (Gen 6:22), including building an ark so that Noah and his family would be spared from the coming wrath of God’s judgment by water. When it was completed, God told Noah to “Go into the ark, you and all your household, for I have seen that you are righteous before me in this generation” (Gen 7:1) after which “the Lord shut him in” (Gen 7:16b), indicating that God sealed Noah and his family (Eph 1) tight inside the boat to protect them from God’s wrath in the flood. This writer sounds like someone who is interested in having God’s favor placed upon Israel and whatever she did, whether that’s obey the law, believe God, or build a nation. When the psalmist prayed for God to “establish the work of our hands,” it sounds selfish, but it’s not, because God is pleased to bless His children with favor as would any good father his own children. The person who is writing is Moses. Very rare are those writings of Moses outside of the first five books of the Old Testament. This psalm may have been Moses’ prayer just before he died and was buried by God. His last thoughts may have been for the safety and welfare of Israel for God to grant them favor for what they were about to do; cross over into the Promised Land and after doing so, the Israelites would have a work to do with their hands. Why not soak this in; think about what God has granted us (John 3:16). These are not just great promises, they’re precious promises. They’re not just great promises but very great promises. Why? It’s because we’re partakers of the divine nature (in Jesus Christ), which is why we’re being made more and more into the image of Christ (2 Cor 3:18) and becoming new creations in Christ (2 Cor 5:17), and we’ve barely escaped the evil corruption that’s in the sinful world. That is divine favor. This is such an encouragement because we can trust God to be our sun, without which all life on earth would die. He is our shield from an invisible enemy who seeks to devour us. He bestows favor and honor (neither of which we deserve). There is “no good thing” that He withholds from “those who walk uprightly.” It’s conditional in the sense that you and I must “walk uprightly” as did Noah before the Flood. Did I save the best one for last? I know what it feels like to be in the ashes, to be imprisoned to the sin- and self-centered slave that I was, to be broken so that God could finally fix me, to hear the good news of the poor in spirit in our sinful depravity before Christ, and He comes “to comfort all who mourn. Perhaps mourn over their own sins even whilst a saint. How many of the saints did God give them a beautiful headdress instead of ashes, the oil of gladness instead of mourning” (Isaiah 61:3). God cannot fix what is first not broken; He cannot build without having ashes; He cannot fill those who are full of themselves. God resists the proud but only gives grace to the humble (James 4:6). If you have never repented and believed in Christ, then you are rejecting the same message that Jesus began with during His earthly ministry (Mark 1:15). To begin with, I, like you, have sinned. We’ve separated ourselves off from our only hope (Isaiah 59:2) so we need Someone Who can reconcile us back to God and redeem us from the coming wrath of God. That’s not a plan it’s the Man; He’s the Man of salvation and for all who humble themselves, confess their sins, repent of them, meaning you change your mind about your sins and agree with God and finally, put your trust in Christ, you already have God’s favor, however, God will give all of us only one of two options; you either believe and have eternal life (John 3 :36a) or you reject Him and have the wrath of God abiding on you (John 3:36b), ready to be revealed in the last day. May God Almighty blesses you for the wonderful Article on God Almighty’s Favor. Thank you so kindly, but as we all know, all glory goes to God, for none of us have anything at all that we did not receive (1 Cor 4:7). Thank you so much papa(Wellman) for the great work you are doing for the Lord. its a great blessing in my life as a christian. may the Lord God grant you His Divine Blessing and Favor. Previous post: I Am Married To An Atheist and Am Now A Christian, What Should I Do?